After the Tuchel snub – Who will become Bayern’s new head coach? Thomas Tuchel will not become the next Bayern München coach. That much seems a certainty after media reported on Saturday that either Bayern had not been interested in the coach or that Tuchel had turned down Bayern to take a job abroad. Either way with Thomas Tuchel out of the running for the job and current head coach Jupp Heynckes looking set to enjoy his second retirement—the question is who could become the new Bayern München head coach for the 2018-19 season. 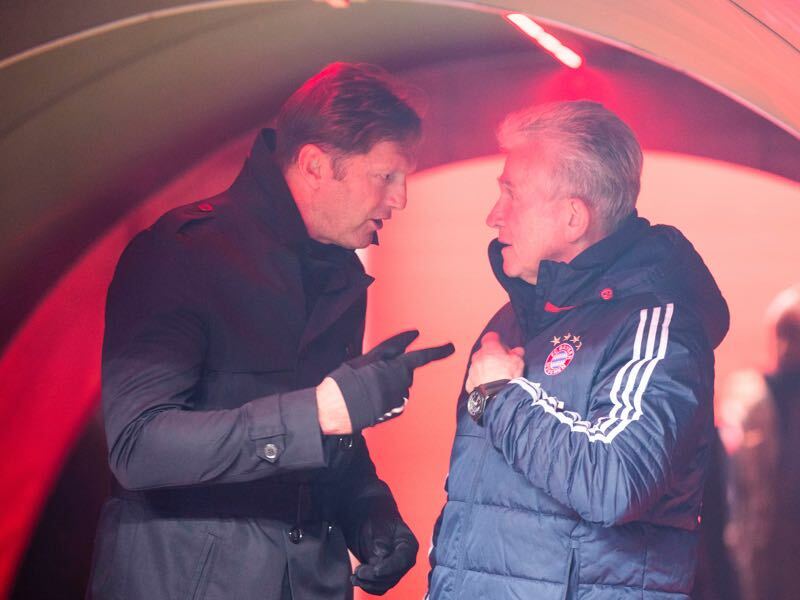 Currently, it appears that Bayern do not have an answer for that question themselves, which suggests that the club had not seriously considered a Plan B should they not convince Heynckes to stay, which was after all expected going by the statements made by the 72-year-old. With just two months left to play in this season, the Rekordmeister is, therefore, still in the hunt for the next coach. The club is looking for a man who can be given the task to guide Bayern through a transition period as the club is looking to slowly but surely rebuild the squad and transition out older players like Frank Ribéry and Arjen Robben with young talent. Jürgen Klopp would be Bayern’s ideal coach. The 50-year-old has plenty of national and international experience and is a German speaker. 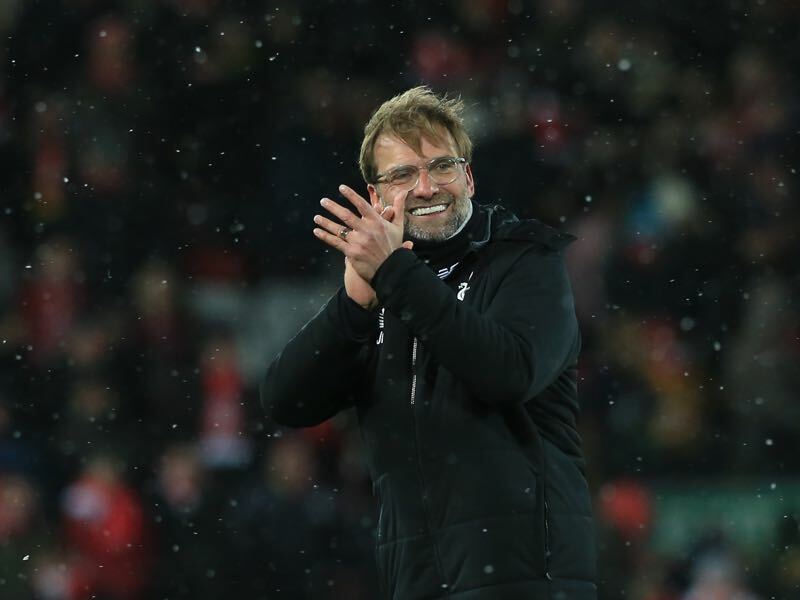 Klopp also plays attractive football and is a favourite of Bayern President Uli Hoeneß. It is, however, doubtful that Bayern would be able to land Klopp. Liverpool are slowly but surely being transformed into a Klopp club. This season the Merseyside club will once again finish in the Champions League ranks, and the arrival of Naby Keïta means that Klopp gets what has always been considered a missing piece of the puzzle. At the same time, Klopp could find himself in a similar situation with Liverpool than in the later part of his Borussia Dortmund years. With limitless funds and Pep Guardiola at its helm, Manchester City could be set to dominate the English Premier League similarly than Bayern does in Germany. Hence, while Klopp might not be available now, he will remain an option for Bayern further down the road. Under Pochettino Tottenham play perhaps the most attractive attacking football in the English Premier League. At the same time, there is a sense that the Spurs will never break into the upper echelons of English and European football – even after the new stadium is completed. As a result, Pochettino is often linked with a move to one of Europe’s football elite. Pochettino has pretty much eliminated a move to Barcelona in the past due to his allegiance with Espanyol, which among the Champions League elite leaves him with Real Madrid, Juventus Turin, Atlético Madrid, and yes you guessed it Bayern München. Pochettino, however, does not speak German – prime criteria to become the next coach at the Säbener Straße. Regarding football philosophy, Pochettino would be the perfect fit for the club. Fonseca was among the candidates to replace Heynckes this summer. The 45-year-old Shakhtar head coach impressed Bayern during the Champions League group stage where Shakhtar finished second in their group ahead of Napoli to reach the round of 16 of the competition. Although eliminated by Roma Shakhtar, despite severe political problems in Ukraine, went toe on toe with one of the best teams in Italy. In the end, it was only small margins that made the difference and Shakhtar received plaudits for their playing style. But like the other two foreign candidates, Fonseca does not speak German. Furthermore, clubs in the English Premier League and Portugal are also interested in signing the Portuguese coach. Hasenhüttl might be the favourite to take the job at the moment. The 50-year-old speaks German, has experience in the Bundesliga and has worked his way up from the lower tiers of German football to the top flight. Hoeneß and Bayern CEO Karl-Heinz Rummenigge also like Hasenhüttl’s football philosophy. The Austrian has also played two seasons for Bayern München II in the Regionalliga Süd (third division at the time) and, therefore, knows the club. His Austrian nationality and his coaching stints at Unterhaching and Ingolstadt also means that Hasenhüttl would find it easy to integrate himself in the Munich lifestyle and Bavarian culture, which is, after all, a cornerstone of the club. Hasenhüttl, however, has said that he does not think he is ready for the Bayern job—although the same age as Klopp Hasenhüttl wants to gain more international experience and could very well opt to sign a new contract at Leipzig to move to Bayern at a later stage. Julian Nagelsmann is another one of Uli Hoeneß’s favourites. But the acquisition of the Hoffenheim bench boss has been opposed by many elements in the club, who fear that Nagelsmann lacks the experience to take Bayern over now. With Hoffenheim struggling at times this season and failing to impress in Europe Nagelsmann’s stock has fallen. The 30-year-old is now understood to stay with Hoffenheim for at least one more season. But should Bayern opt to go with another “interims” option Nagelsmann could leave Hoffenheim for €9 million in the summer of 2019. Christian Streich might very well be that interims option. Bayern see in Streich a similar coach then Jupp Heynckes. An older more experienced trainer, who with his calming demeanour could easily lead a dressing room for stars. Streich, however, has never coached on the highest level outside of Freiburg. Furthermore, born and raised in Weil am Rhein, just outside of Freiburg, Streich is deeply connected to the Breisgau Brazilianer and it would be hard to imagine seeing him leave for what would be a short-term coaching opportunity. Another favourite by the Bayern bosses. Kovac like Hasenhüttl fulfils many of the key criteria. Although active for the Croatian national team Kovac was born and raised in Berlin and knows the Bundesliga like the back of his hand. He also carries the Bayern gene after having played for the club from 2001 to 2003. Kovac also knows how to handle a dressing room full of difficult characters from his time as the Croatian national team coach. The 46-year-old guided Croatia to the 2014 FIFA World Cup but was released in September 2015 halfway through a rocky qualification group stage for Euro 2016. 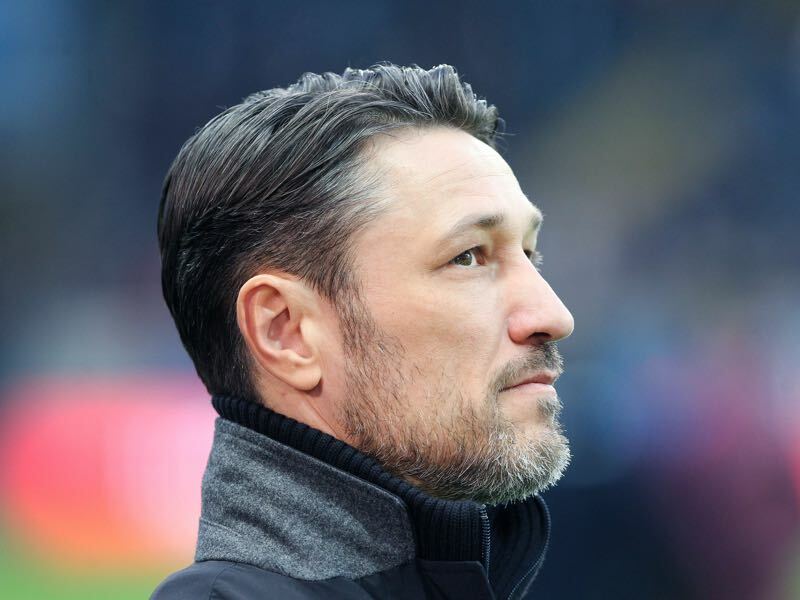 Kovac then saved Eintracht Frankfurt from relegation at the end of the 2015-16 season and has since rebuilt the club forming them into a Champions League places contender. 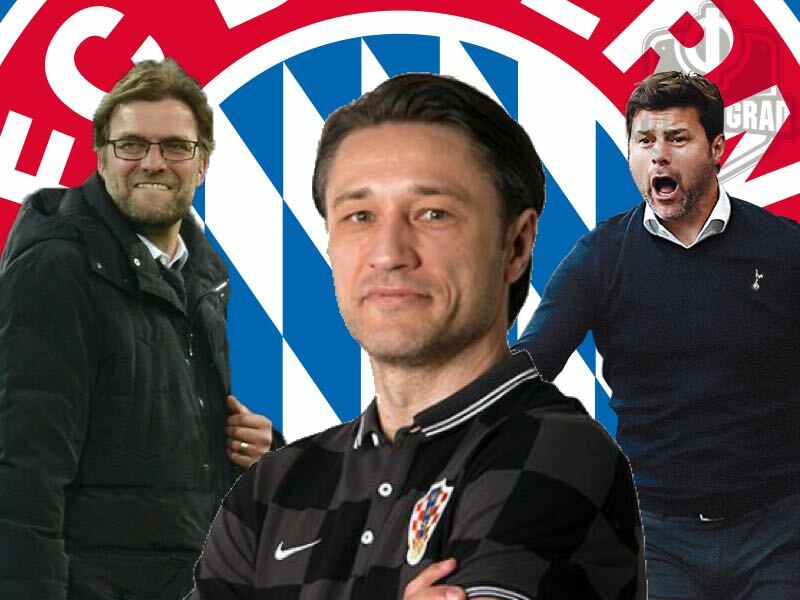 Putting together a side that plays some of the most exciting football in Germany Kovac is both a candidate for the coach of the year and to take over Bayern. None of the mentioned above coaches 100% fulfil Bayern’s criteria to become the next bench boss at the club. Hence, there is a chance that Bayern could appoint a candidate who is relatively unknown to the media. Indeed, there is a stream of thought within Bayern that the club should perhaps follow Schalke’s model and appoint someone like Domenico Tedesco. At the end of the day, Tuchel’s Bayern snub – or was it the other way around? – is not a major drama for the Bavarian giants. Tuchel, after all, was just one of many options at the Säbener Straße. But Bayern’s hunt for a new coach does highlight that there seems to be a shortage of available coaches that could take the job in a heartbeat.